For the beginner beekeeper our top product – the Beginner Beekeeper Starter Kit. All the basic items you need to start your beehive except the honey bees. 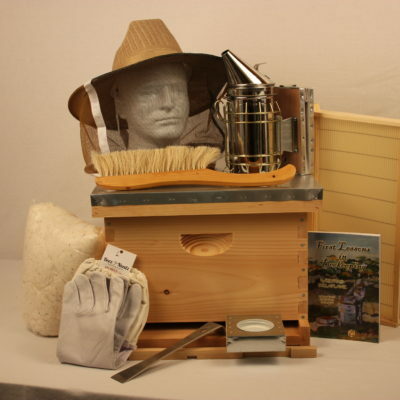 We have assembled kits you can place in your backyard all ready to go, just add the honey bees. 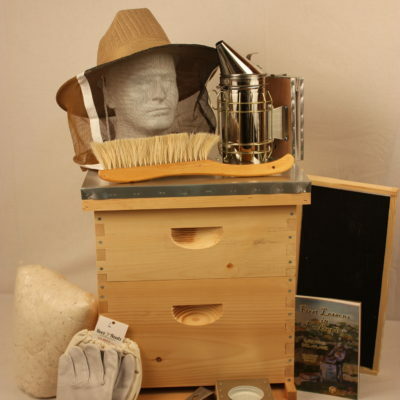 This beginner beekeeper kit makes a great gift item for someone that wants to start beekeeping. We have all the items to help you start into beekeeping – from beginner to expert!